Darul Uloom Pretoria, in conjunction with the Pakistani Embassy hosted their annual Na’at Recital competition on Friday, the 3rd of August 2016. 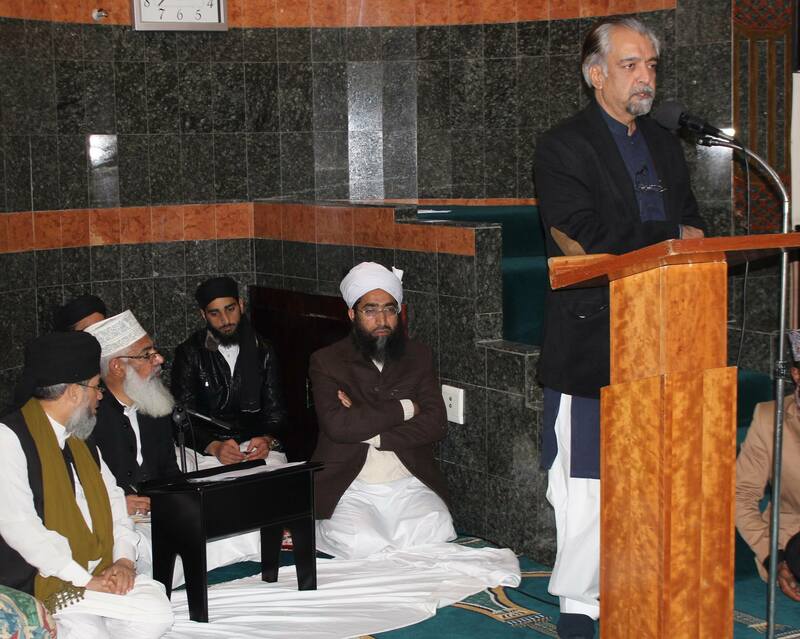 The programme was held at Masjid Sayidina Gouse Azam in Taj Street Laudium. The programme began with a Qiraat by Rehaan Mustafa, an Aalim course student at Darul Uloom Pretoria. Moulana Sarfaraaz Rahmatullah, the MC for the evening then introduced Moulana Qasim Khotatso, a graduate of the Darul Uloom, who recited a melodious Na’at. The participating organization in this year’s competition were Darul Uloom Pretoria, Pretoria Muslim Trust, Madressa Imam Ahmed Raza, Sultan Bahu Centre and Dawate Islami. The master of ceremony then introduced the participating students and explained the rules of the competition to the audience. He further described how the competition first started three years ago as a collaborative effort between the High Commission of Pakistan in Pretoria and Darul Uloom Pretoria, based on the idea of the honourable High Commissioner Najmus Saqib himself. Among those in attendance were the officials of the High Commission including the High Commissioner himself. An orator with great command on public speaking, Janaab Najmus Saqib acknowledged and inspired all participants. He appealed to those present to continue this annual competition end emphasised the importance such gatherings hold in bringing the youth closer to Allah Almighty and his beloved messenger صلى الله عليه و آله وسلم‎ . The principal of Darul Uloom Pretoria, Mufti Mohammed Akbar Hazarvi, was then invited to the podium by the MC and described through a number of historic incidents how our pious predecessors loved the Prophet صلى الله عليه و آله وسلم‎ . He further explained how the love of Nabi صلى الله عليه و آله وسلم‎ is in fact the true essence of faith. The deputy principal, Moulana Hafiz Ismail Hazarvi, then conducted the award giving ceremony in which the winners were announced.